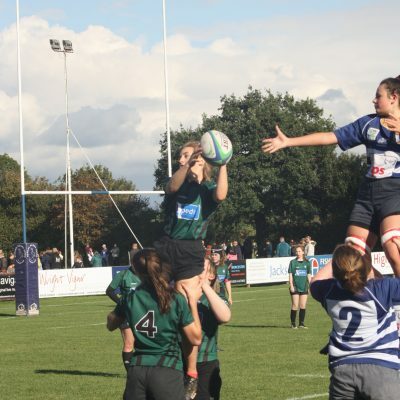 This year saw the 4th Festival of Rugby for girls hosted by NLD RFU take place at Newark RFC. Since its inauguration this, now annual, event has seen year on year growth in overall numbers. This year was no exception with nearly 300 players plus coaches and parents in attendance. With fine weather to help us along, the afternoon saw U13, 15 and 18 age groups play round robin matches. The format proved crucial in allowing the girls to showcase their skills, in what was a great advert for competitive opportunity within game. Newark RFC kindly hosted us for the second year running and, despite club house building work still to be completed, provided a friendly welcome to all with BBQ and bar for those in need of refreshment. I would to thank everyone who helped on the day; the officers for Newark RFC, Gina who organised the car parking and raffle, the referees who had already officiated in the morning, (must be the water round these ‘ear parts!! 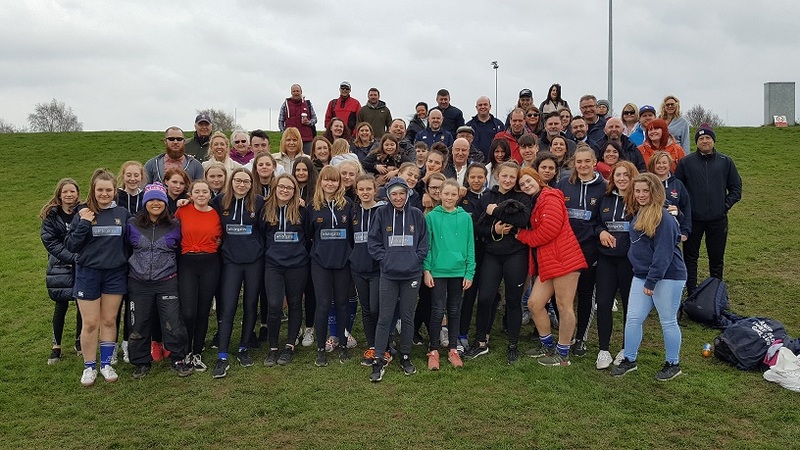 ), the NLD physio’s who administered assistance where needed, the U13 coaches who ran their own age group matches to brilliant effect on the day and everyone else who had a hand in organising and running this fantastic event. This years decision to limit the number of teams was taken on the premise of potential site restrictions in addition to ensuring adequate playing times for the participants. We are looking at ways to expand the festivals capacity and increase match times. We hope to see you all again next year on Sept 22nd 2019 for the next NLD Girls 10’s Festival of Rugby. The following support roles within the Women and Girls representative squads and club game are available for application. The NLD W& G programme starts in January/February and runs until April/May. Coaches are expected to comply with current RFU regulations and work as part of a team within NLD to provide a stimulating and challenging environment for players of all ages and to develop their playing skills and abilities. Our ethos is to encourage player development and not “win at all costs”. Age Grade Facilitators will be responsible for the co-ordination of the NLD Pitch Up & Play age group programme. The aim is to provide a structured calendar of events that supports clubs, players and the wider CB W&G’s programme as a whole. 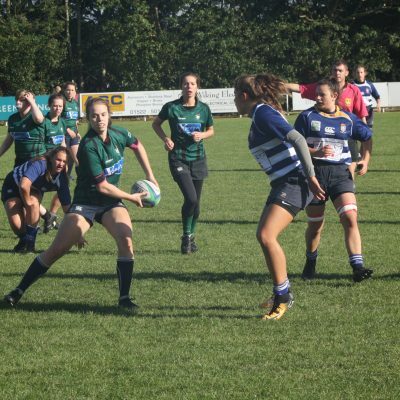 You will be working with the NLD Girls Head Coach and Committee to provide a stimulating learning environment and assist in the development of Xrugby and 7’s as reflected within the new CXB programme. There will an opportunity to be involved in the planning and running of NLD W&G’s Festivals. Please take the time to complete the application form in full giving a detailed account of previous experiences and qualifications. All applications will be considered on merit. For those applying for coaching roles, an ideal candidate will have experience of coaching within the relevant age group(s) and possess a current L2 RFU coaching qualification or higher. When completed, please return this application form via email to Luke Green. The deadline for applications is 28th October 2018 with interviews to be held in early November 2018. Interviews will be held at Long Eaton RFC on the evening of Wednesday 14th November 2018. For more information on any of the roles or for an informal chat please contact Neil Clack on 07734 179339. Several positional opportunities have become available to support the Women and Girls (W&G) game both at club and CB level within NLD. The W&G game within NLD moves from strength to strength and has been a key area of growth for the CB over the past several seasons. These roles will support the growth and sustainability of the game as NLD look to continually develop the offer in place for all Women and Girls across the CB. W&G’s Age Group Facilitator (responsible for the development of the girls club game Pitch Up and Play offer): U13, U15, U18 (x1 position for each age group). Please take the time to complete this form in full giving a detailed account of previous coaching experience and qualifications. All applications will be considered on merit. For those applying for coaching roles, an ideal candidate will have experience of coaching within the relevant age group(s) and possess a current L2 RFU coaching qualification or higher. When completed, please return this application form via email to Luke Green. The deadline for applications is 1st September 2018 with interviews to be held at Mansfield RFC on Friday 14th September 2018. Please note those applying for Head Coach positions will be expected to deliver coaching session as part of their interview process. Further details regarding this element of the interview process will be given if invited to interview. Successful applicants will be invited to interview via email no later than 6th September 2018. Two NLD clubs were in action in the National Semi Final matches at the weekend. 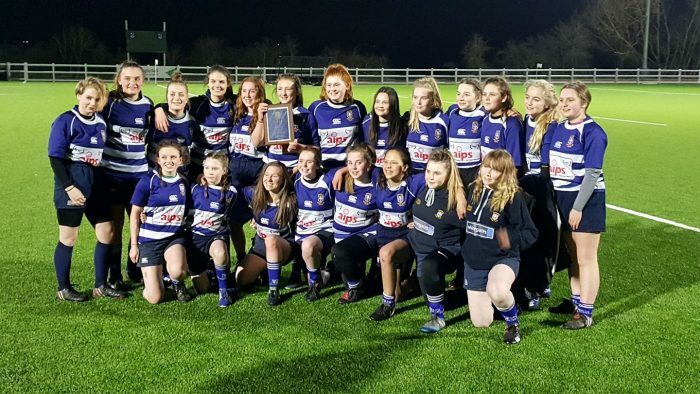 After winning the Area 4 Midlands title a couple of weeks ago, Newark U18 Girls were through to the National Semi Final (North) which was against Castleford and Worcester. The girls faced a 3 way game and Newark drew the first and third game, which was an advantage. First game was v Castlesford. A highly contested first 5 minutes saw Castleford break out of defence to score. Determined to fight back, Newark girls scored twice shortly after. Second half was tense as both teams worked overtime to stop any attack. Eventually Newark scored again. 19-5 to Newark. After a short break, the girls faced Worcester in a “winner takes all” game. Newark girls, scored and converted twice in the first half. Worcester sustaining strong attack and defence came back to score twice in the second half but missing the second conversion. 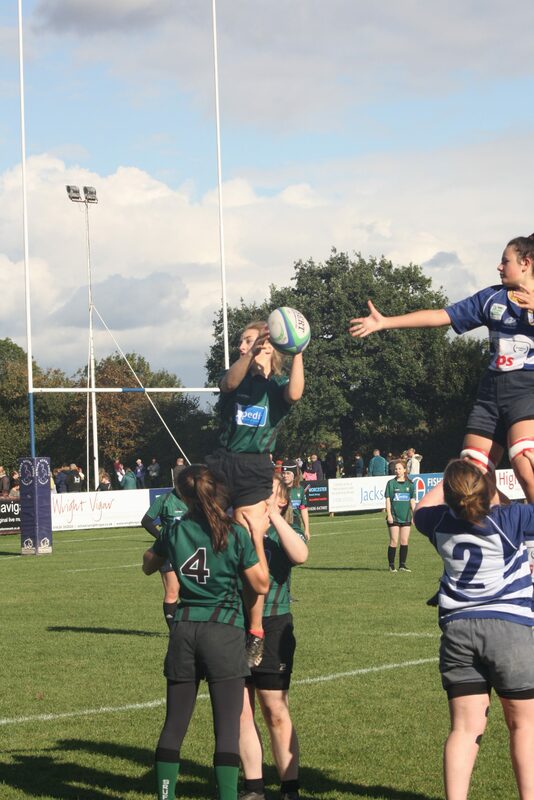 The final ten minutes were very tense with sustained Worcester pressure but the Newark girls held out and won 14-12. A huge achievement for Newark u18s to go through to the National Final, in only the second season of fielding an u18s team. The girls now face Pulborough on 29th April, 12:45 ko at Ealing in the National Final as a curtain raiser to the Women’s Tyrell’s 15s Final – Saracens v Harlequins. 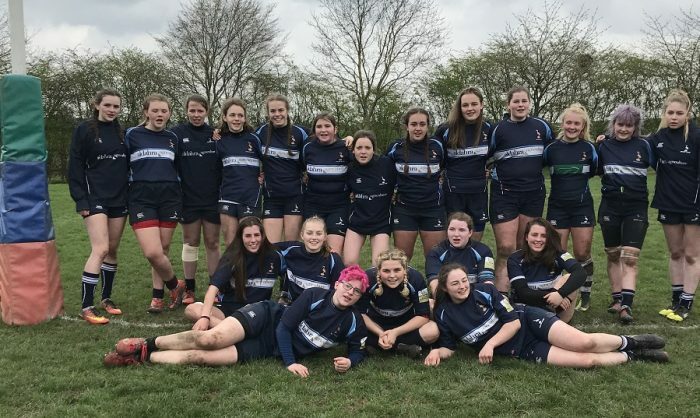 Mansfield U15’s played 2 keenly contested games against Old Crossleyans & Leek, whilst they weren’t successful in progressing into the final they take away the experience of playing in these games which will stand them in good stead in the coming seasons. Well done to all of the players, coaches & club. The next NLD Women & Girls meeting will take place on Wednesday 11th April at Newark RFC and the Agenda is available to download here. 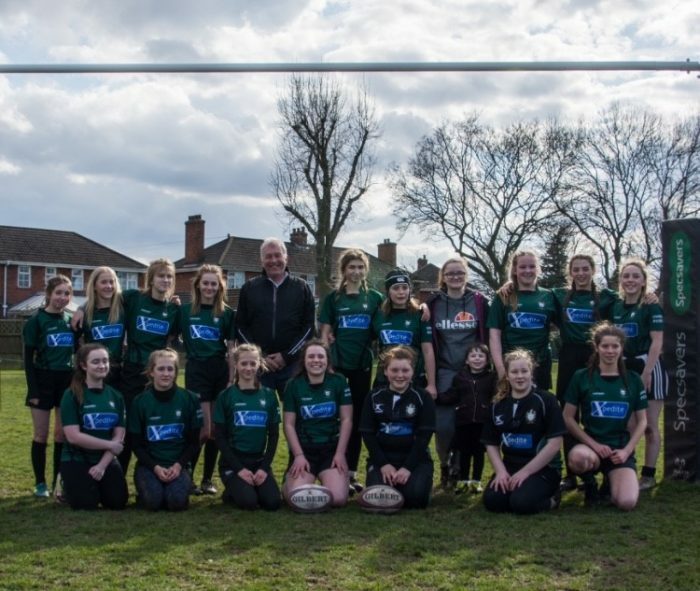 A copy of the minutes from the previous meeting on 3rd January are also available to view here..
Mansfield RUFC are looking for an experienced coach to join a motivated and forward thinking U15 Girls team. Ideally they would be qualified to a Level 2 standard or working towards Level 2. The U15 Girls squad boasts numerus coaching assistants, NLD players and are currently the Area 4 Cup Winners and are in this seasons current U15 National semi-finals. The coaching team require an individual who is focused on continuing this squads rapid development and continue working with a group of players who are committed and want to play Rugby at a higher level. Please contact Nick Hughes on 07794 991485 for further information or see the attached job application form for further details. The girls section at Scunthorpe Rugby Club held a Girls Rugby festival this weekend at Heslam Park, which saw teams from Lincolnshire and Yorkshire attending at U13 and U15 age groups last weekend. The day was packed with great skills and great rugby on show. The games were refereed by Sam Yates, Andy Taylor, Andy Grey, and the clubs very own president, Mal Yates. Mansfield & Newark Girls Take Area 4 Titles! Mansfield U15 Girls & Newark U18 Girls have both secured excellent Area 4 titles in the last week. Mansfield took on Old Northamptonians and came away with an excellent 22-17 win to secure the Area 4 U15 Girls Cup Competition. The squad had stepped up a level having been crowned Area 4 Plate Winners in 2016-17 and were worthy winners of the title. 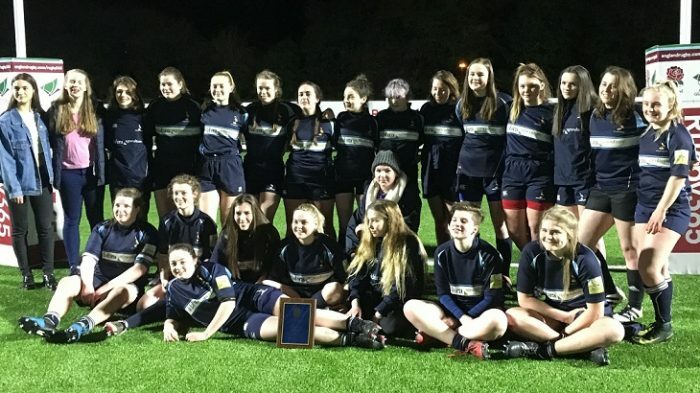 In the U18 contest Newark Girls also took on Old Northamptionians to secure a National Semi Final place in the coming weeks. 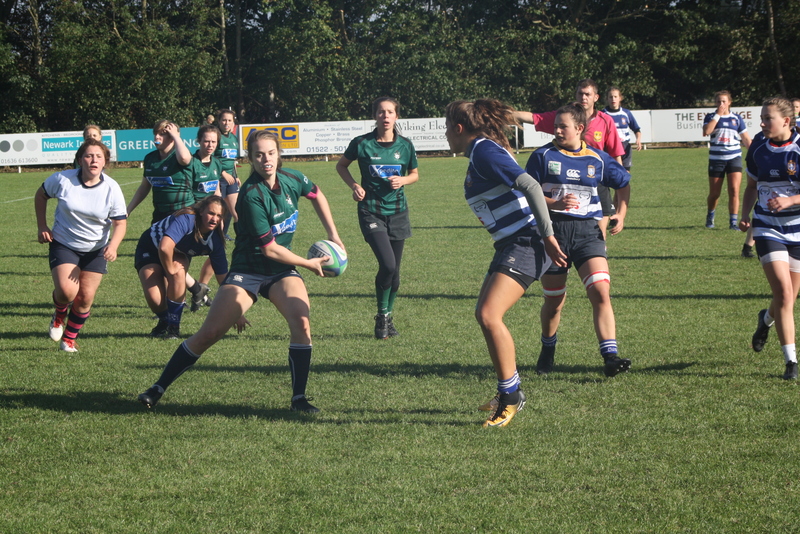 The match was finely balanced at half time as the teams were neck and neck but Newark drew away in the second half and recorded an impressive 25-10 victory. The matches enjoyed the excellent facilities of the new RFU AGP pitch at Leicester Forest RFC and we wish both teams the best of success for the rest of the season. Pictured: Above Mansfield U15 Girls Squad. Below Newark U18 Girls Squad.